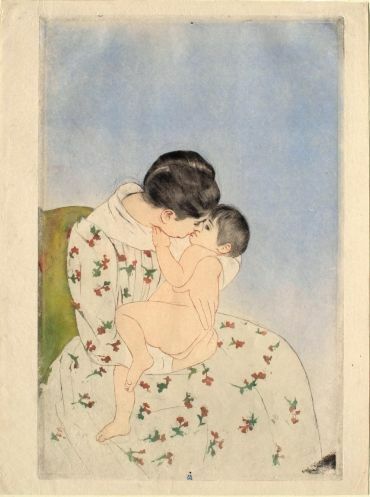 Mary Cassatt. After the Bath, 1891. Color drypoint and aquatint. Sterling and Francine Clark Art Institute, Williamstown, MA. The Archives of American Art is the world’s most widely used research center dedicated to collecting, preserving, and providing access to primary sources that document the history of the visual arts in America. The AAA's vast holdings include more than 20 million letters, diaries and scrapbooks of artists, dealers, and collectors; manuscripts of critics and scholars; business and financial records of museums, galleries, schools, and associations; photographs of art world figures and events; sketches and sketchbooks; rare printed material; film, audio and video recordings; and the largest collection of oral histories anywhere on the subject of art. Much of the archival material has been microfilmed and AAA microfilm can be requested on interlibrary loan. Increasingly, ongoing digitization projects make selected AAA materials available online as well. Searching for archival materials is another area of research that is rich with specialized skills, tools, and techniques. The following databases will provide entry points; in particular, the Archives of American Art is an extraordinary resource for finding archival material on American artists, collectors, critics, scholars, and dealers (see the "Featured Resource" box at left). A database of the archives of hundreds of research libraries worldwide. From within a search result you can restrict a search to specific archives or specific locations, using links on the sidebar. Website for the five centers of the French national archives: Centre Historique des Archives Nationale (pre-1958), the Centre des Archives Contemporaines (post-1958), the Centre des Archives d’Outre-Mer (documents of French overseas colonial possessions), Centre des Archives du Monde du Travail (documents of corporations, syndicates, associations), and the Centre National du Microfilm. One of the available online resources worth exploring is the database called Arcade (http://www.archivesnationales.culture.gouv.fr/chan/ index.html): “A la lumière des documents d'archives, la base Arcade retrace la genèse et l'histoire des œuvres d'art, acquises, commandées ou gérées par l'Etat et les collectivités territoriales de 1800 à 1939.” Also includes links to other online resources related to French art and museums. Online catalog for Smithsonian research collections—spanning more than 200 years—that include letters, diaries, and scrapbooks of artists, dealers, and collectors; manuscripts of critics and scholars; business and financial records of museums, galleries, and associations; photographs; works of art on paper; and oral history interviews. Many entries include links to finding aids and bibliographies. AAA materials on microfilm can usually be obtained through Interlibrary Loan. WorldCat's vast database, the holdings of thousands of libraries worldwide including every academic and research library in the United States, includes archival holdings. To search archival holdings only, click the "Archival Materials" button in the Limit Type To: box. Click here to access the Clark library's WorldCat, which offers more robust search capabilites. Click here to access Williams WorldCat. If you do not have access to either campus or to the Williams proxy server, search the free Internet interface: WorldCat.org.